Rep. Tulsi Gabbard (D-HI), who this week announced she is planning a run for president, released a video on Thursday apologizing for her past views and statements about LGBTQ people, and work for anti-gay groups. In 2013, Gabbard signed an amicus brief supporting Edie Windsor’s battle to defeat the Defense of Marriage Act (DOMA). 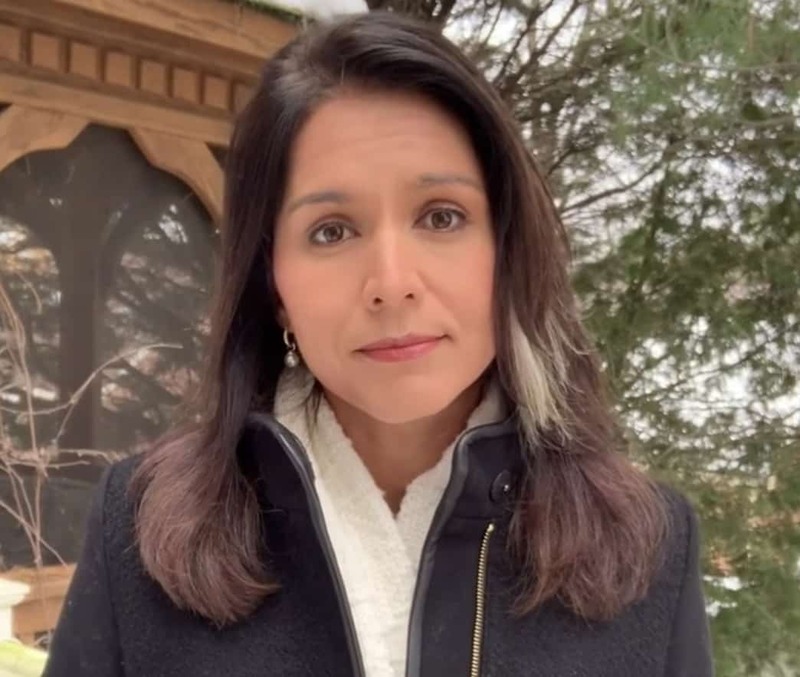 Gabbard was the youngest woman elected to the Hawaii state legislature at age 21, and is the first Samoan-American member and the first Hindu member of Congress. Out Rep. Sean Patrick Maloney (D-NY) came to Gabbard’s defense this week. In my past I said and believed things that were wrong, and worse, hurtful to people in the LGBTQ+ community and their loved ones. Many years ago, I apologized for my words and, more importantly, for the negative impact that they had. I sincerely repeat my apology today. I’m deeply sorry for having said them. My views have changed significantly since then, and my record in Congress over the last 6 years reflects what is in my heart: A strong and ongoing commitment to fighting for LGBTQ+ rights. I know that LGBTQ+ people still struggle, are still facing discrimination, are still facing abuse and still fear that their hard-won rights are going to be taken away by people who hold views like I used to. That cannot happen, because every single American deserves to be treated equally – by their fellow Americans and under the law. I will continue to fight for LGBTQ+ people, whether they’re in school or serving in uniform, trying to get healthcare, taking care of their family, or looking for a home. I grew up knowing that every person is a child of God, and equally loved by God. I have always believed in the fundamental rights and equality of all people. But I also grew up in a socially conservative household, where I was raised to believe that marriage should only be between a man and a woman. For a period of my life I didn’t see the contradiction in those beliefs. While many Americans may be able to relate to growing up in a conservative home, my story is a little different because my father was very outspoken. He was an activist who was fighting against gay rights and marriage equality in Hawaii – and at that time, I forcefully defended him and his cause. But over the years as I grew up, I formed my own opinions based on my life experience that significantly changed my views — at a very personal level in truly having aloha, love, for all people, and making sure that every American, regardless of sexual orientation, is treated equally under the law. I look forward to being able to share more of my story and experiences growing up – not as an excuse – but in the hopes that it may inspire others to truly live aloha; to love and care for others. When we deny LGBTQ people the basic rights that exist for every American, we are denying their humanity – denying that they are equal. We are also creating a dangerous environment that breeds discrimination and violence. When we divide people based on who they are or who they love, all we are doing is adding fuel the flames that perpetuate bigotry and hatred. I’m so grateful to my friends and loved ones, both gay and straight, who patiently helped me see how my past positions on these issues were at odds with my values, my aloha, and that they were causing people harm. I regret the role I played in causing such pain, and I remain committed to fight for LGBTQ equality.